TCF offers a variety of services to our clients to assist and promote the profitable management of the forest resource. The timber inventory measures the timber type, size and species on a parcel of land. It is the first step in assessing the resource and in determining the status and value of a forested property. Timber inventories are conducted in a methodical, orderly process, by traversing and mapping the property and measuring and tallying the trees. Don’t guess the volume and type of timber on your property; conduct an inventory to be certain. The forest management plan is a detailed report of your forest, describing the status of your land and timber. The plan typically makes recommendations regarding timber harvesting type and timeframe, reforestation needs, property line issues, road status and needs, wildlife and aesthetic considerations, and other important issues. The plan is written with the goals and objectives of the landowner first and foremost, and the plan is also needed for entry into the N.C. use value tax status category. The timber appraisal utilizes the current timber inventory, as well as other factors of the property, in assigning current market prices to the timber volume on the property. Markets fluctuate based upon a number of factors. Until a timber inventory and appraisal are conducted, the value of the asset is just a guess. Selling your timber is an extremely important part of managing your property. Many landowners only sell timber once or twice in their lifetime. The marketing and selling of your timber needs to be done in a careful and thoughtful manner. TCF typically conducts an advertised and competitive sale, to generate the maximum price for the landowner. Re-planting your property is a profitable investment, as well as demonstrating good land stewardship. We can assist you in the proper type of site preparation needed to prepare the site for planting, as well as contracting with suitable tree planters and inspecting the work for quality control. Timber has a tax basis, which can be determined, to reduce the amount of taxes owed when a timber sale is conducted. Calculating the basis is an important part of owning timberland. Don’t pay more in taxes than is necessary. Call TCF to determine your timber basis. The selling or acquisition of timberland is an important aspect of services offered by TCF. We can assist you in the evaluation and due diligence needed in the acquisition of timberland, as well as the sale of existing property. We currently possess real estate licenses in both North Carolina and South Carolina. 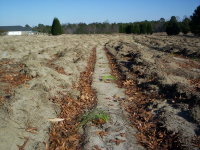 Planted pine plantations routinely need and benefit from intermediate thinning harvests. We can locate suitable logging contractors, negotiate prices and inspect and supervise the logging process. TCF can conduct trespass appraisals, in the event your property is cut by an adjacent landowner. 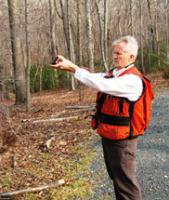 We can also offer expert witness testimony, regarding forestry issues and valuation. Your land is being hunted by someone. Is it you? If it is not you or family members, consider leasing the property to a reputable hunting club. By leasing the property, you can control the selection of the club, and require a proper lease to protect your rights. Hunting leases can be quite lucrative, so contact TCF should you desire to lease your property.